We've been blogging going on 4 years now and I have been writing my column in the newspaper for just as long. One of the perks to writing is that we often get to try out and review products. There are many products that we may use one time and then throw them in the back of our closet to never be brought out again and then there are those products that we absolutely love and would have spent double the money on if we had to. I'm gonna share with you 5 products that we were asked to review BUT would absolutely have bought had we known how much we liked them. 1. My Mizunos. It is no secret that I love my Mizunos. Had I not reviewed these shoes I probably never would have thought about them as an option for a new running show. I first tested the Wave Riders and absolutely loved them. I then got to try out the Enigmas and liked them too! I have since purchased several pairs of each style. A Huge thanks to Mizuno. 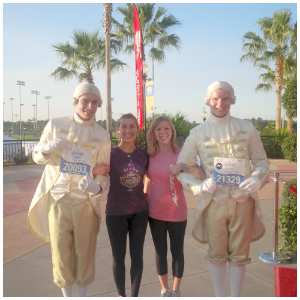 They now acquired a new customer for life (or at least as long as I continue to run). 2. This Under Armour Jacket. I never thought I was a running jacket kind of gal, but I have got my use out of this jacket ten fold. To be honest I probably would have never picked this out at the store (didn't care for the black/grey combo), but the reality is that it is perfect for me. It has a hood, 3 outside pockets, a mesh lining with some "secret" pockets inside, and it is light weight,, yet keeps me warm (how is that possible ?). I've worn it on rainy runs and on cold snowy runs. And it ends up that I love the color combo because because it matches most of my shorts or capris. 3. 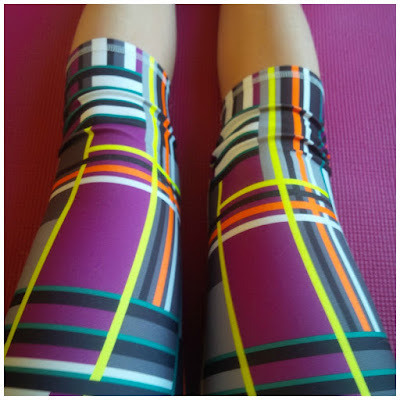 My Capris from Fabletics. Every time I wear these capris I get compliments. I love the pattern, and they are good quality (pretty thick material). They just make me happy when I put them on and they match a variety of tanks I already have. I don't know how much these capris retail for but I would totally "buy" them again. 4. I must ave a thing for capris because another great item I would buy if I had to were these capris from PrAna. These are not as thick as the Fabletics ones but they are the softest capris I've ever owned and for that reason they are a favorite! 5. 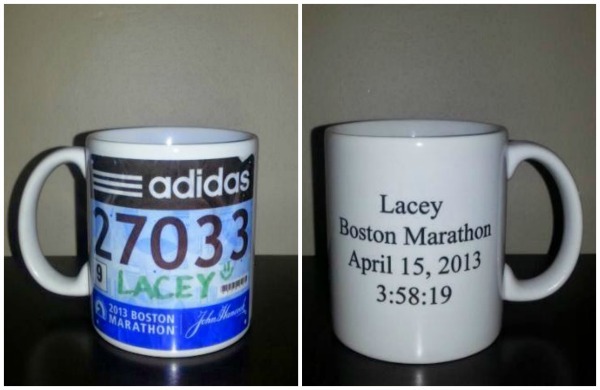 One of my favorite things I've acquired through blogging is my Boston Marathon mug. A great company called Gone For a Run made it for me using a copy of the bib from race day. I drink my coffee out of it almost every day and just can't help but smile. Had I known how much joy this little mug would bring me I would have had no problems spending $ on it! Join us next week when we share 5 items we reviewed that deserve a big thumbs down. I love those capris! And of course, anything from prAna! I wonder if all Prana stuff is that soft? I love my Mizunos! Those capris are so cute! We just got my daughter a winter coat from PrAna - so cozy! I didn't even know PrAna sold winter coats. I'll have to check that out! That mug is SO cool! I love mugs (my mom collects them and I think I inherited her addiction) and drink coffee every morning; I feel like using that kind of mug would be a great pre-race ritual! I wanted to buy one at the expo, but when I went back on day two they were all sold out so I was happy to get this one made. And plus it is more personal. Good stuff! I love that mug and those capris are so cute! There is nothing like a good pair of running shoes. And when you buy them, you know they are worth it! I have had it for over three years and haven't dropped it yet...fingers crossed! I'm with you on the Mizunos. I won't run in any other brand of shoes. You are mt Wave Rider twin! I am in love with them too. I've gotten mugs at my last two races, and I use them so much more than anything else at expos. I didn't get a Run Disney mug, but I got the Starbucks mug from Disneyland instead. That was a great race and a fun trip to remember. I always like getting mugs when I travel because I use them all the time. I was disappointed that I didn't get one while in Chicago, but the ones at the expo were so boring. Just basic black ones. I'm sure Gone For A Run still does it. 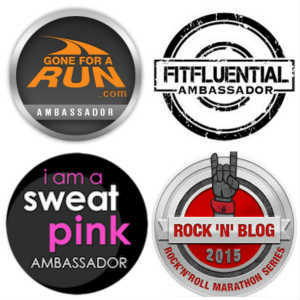 All you have to do is scan your bib and email it to them. I love the color of that jacket and the capris!! Also the mug is pretty awesome! Those fabletics capris do look great! I love that pattern. Great list. I signed up for Fabletics and never purchased anything. I LOVE mizuno apparel. It's awesome. Those capris!!! I love the print. & that mug. How cute is that!! So clever. The Fabletics capris are so cute! 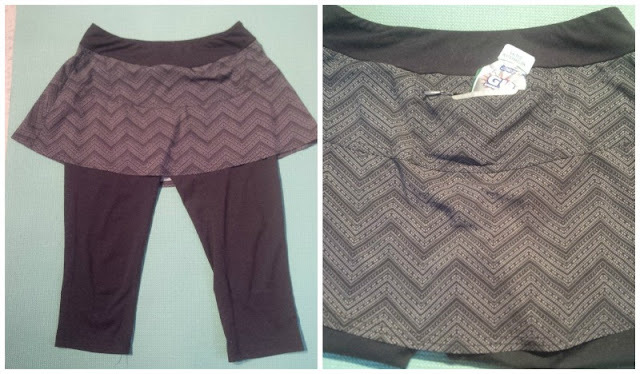 I love fun pattern capris since most of my running shirts are solid. I've heard so much about Fabletics. That mug is amazing! What a keepsake?! Love the mug - super cute and I'm sure it brings up happy memories every time you use it. It's great when testing a product turns into something that you end up really loving. I recently tested out a pair of New Balance shoes that I really liked. Like your jacket, I wasn't sure about the color at first (black and white and I tend to like bright shoes!) but they were great for running and I'll likely end up buying a pair. YES on Mizuno Wave Riders! I've never tried the Enigmas but can imagine they must be awesome. I am bummed I missed out on the opportunity to wear-test their shoes!!! I've also heard consistently rave reviews on Fabletics. Will have to give them a try someday soon, too! I also agree with the Mizuno's. Funny thing is, I disliked them the first few times I tried them on in store. There are definitely a few products I've been gifted that I absolutely LOVE. I'm a fabletics fan as well....especially the capris! Those Fabletics capris are super cute. I love bright colors! I've seen the TV commercials and promos, but wondered how their products fit and felt (everything must look good on Kate Hudson). Love that mug as well - love the customized stuff Gone For a Run does, especially those things that can be a regular reminder of an amazing race! Like you, I have a favorite mug and it's a race mug. I won it a few years ago when I placed third in a 5K. I used it today, too! I've wanted an Under Armour jacket but still haven't convinced myself to cough up the change to get it, haha. :[ I love those capris too! You know I love that you included Mizuno - they are my go to! I love that mug! What a great gift idea!